Someone recently asked me whether I write up restaurant reviews on the same day or store them up for later posts. My answer: I always try to write them up as soon as possible so the review is an honest, instinctive account of the food and experience. Yet here I am four days after visiting The Punter catching up on my food blogging. From Marseille. In France. Where the food has so far been a-m-a-zing. I'll try not to let that influence my verdict of The Punter's above average, fancy take on pub food. The whole meal was fantastic and practically without flaws. The starters were especially good: I enjoyed the classic combination of flakes of hot smoked salmon with cubes of fresh, flavourful beetroot and a delicious homemade horseradish sauce, which contained coarse shredded horseradish and gave quite a feisty, warming kick to the dish. 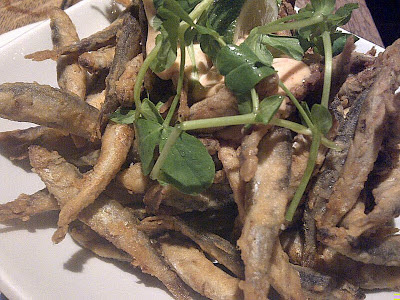 A huge bowl of lightly battered whitebait also hit the spot, the saltiness sitting well with a spicy, smoky cajun mayonnaise. Our only complaint was that the small dollop of homemade mayo did not go far enough to satisfy our desire to smother every last tiny fried fish in it! 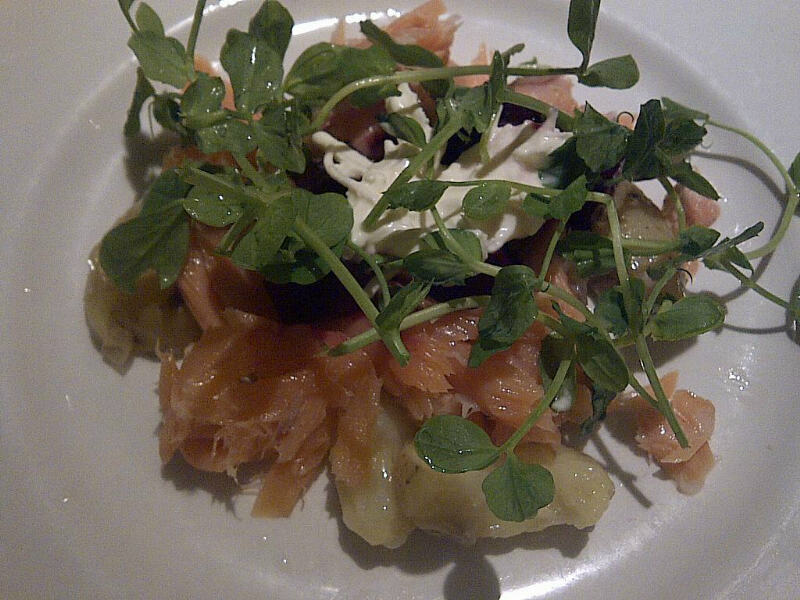 Both dishes were garnished by crisp, bright green leaves - watercress or rocket - worth noting for their freshness, which is often overlooked by pubs serving on the side of every plate a handful of limp salad. 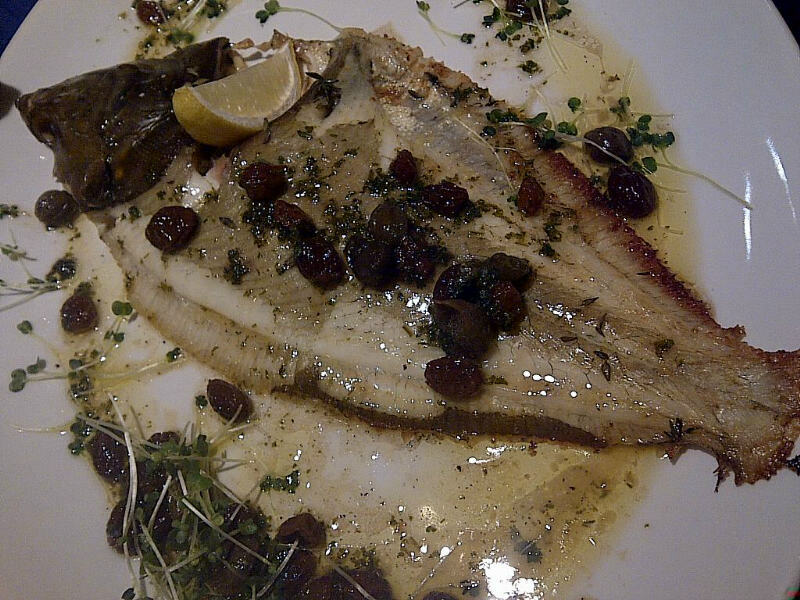 Further triumphs featured on the menu of main courses, in particular the whole roast plaice with caper and raisin butter. A great combination of sweet and sour, held together by gallons of butter and soft, light white fish, the dish was nicely done and worth its £14.50 price tag. It came with chips, which I didn't try but were apparently very good pub chips. The highlight of the meal was the confit duck leg served on puy lentils with kale and crispy bacon. The sticky, salty skin and the succulent duck meat alone made the dish a fantastic choice. Paired with the puy lentils, it was hugely filling and very satisfying, mainly due to the delicious rich, meaty sauce they were soaked in. Heavy on the duck and bacon fat and strong flavours, it was reminiscent of a French cassoulet I enjoyed a while back in Carcassonne and definitely not a dish for the pre-Christmas detox! 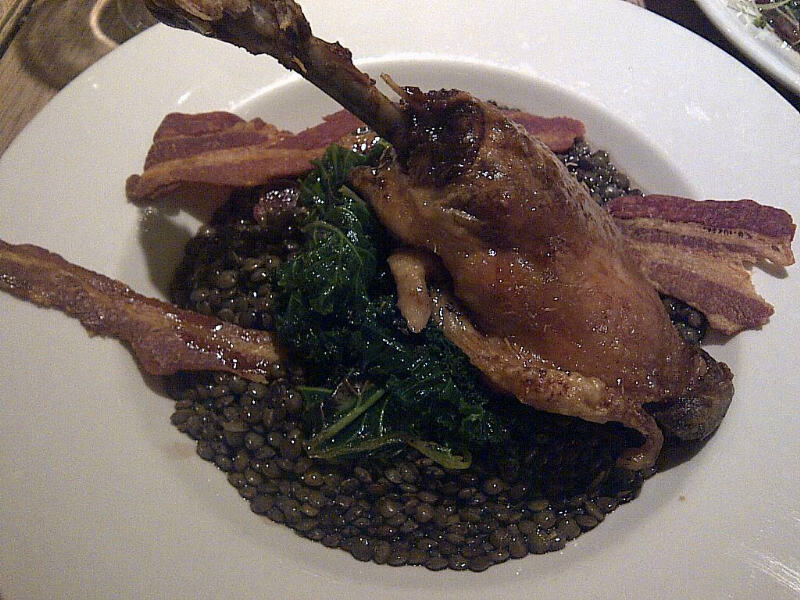 All in all, it was a rather excellent interpretation of classic confit duck. We had no room for dessert but did try the pub's mulled wine, which was a nicely spiced and fruity mull suitable for guzzling rather than sipping, and a few wines by the glass including a notable Chilean Sauvignon Blanc (La Compania, 2011, Rapel Valley). 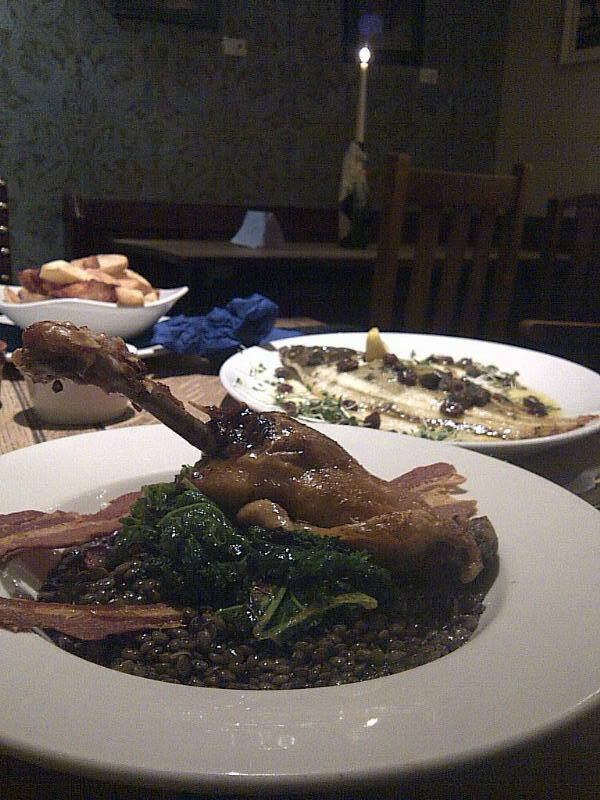 Good service and a laid-back "pubby" atmosphere makes The Punter a great option for good food in Cambridge, but be willing to spend a little more than you might expect for pub grub.  The generous portions and high quality of the ingredients are well worth a few extra pounds here and there.